Washington, Nov 17 (PTI): Facebook investors have called on the company’s chief executive Mark Zuckerberg to step down as chairman following reports that the company hired a public relations firm to smear its critics, a media report said on Saturday. It also said that the company also used a Republican public relations firm, Definers Public Affairs, to help repair its battered reputation following intense criticism of the social media platform’s handling of a scandal over Russian interference in the 2016 US elections and the Cambridge Analytica scandal, The Telegraph reported. “Facebook is behaving like it’s a special snowflake,” the paper quoted him as saying. “It’s not. 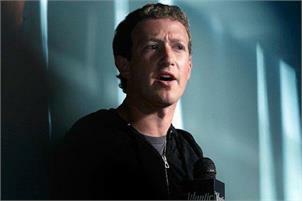 It is a company and companies need to have a separation of chair and CEO,” he said. Kron said the new revelations about Facebook’s use of Definers offered fresh reasons for Mr Zuckerberg to relinquish his dual role as chairman and chief executive. Zuckerberg has retained a high level of control over the social networking business which he founded in 2004 due to his combined role and his ownership of a stake representing 60pc of the company’s voting shares, the report said.